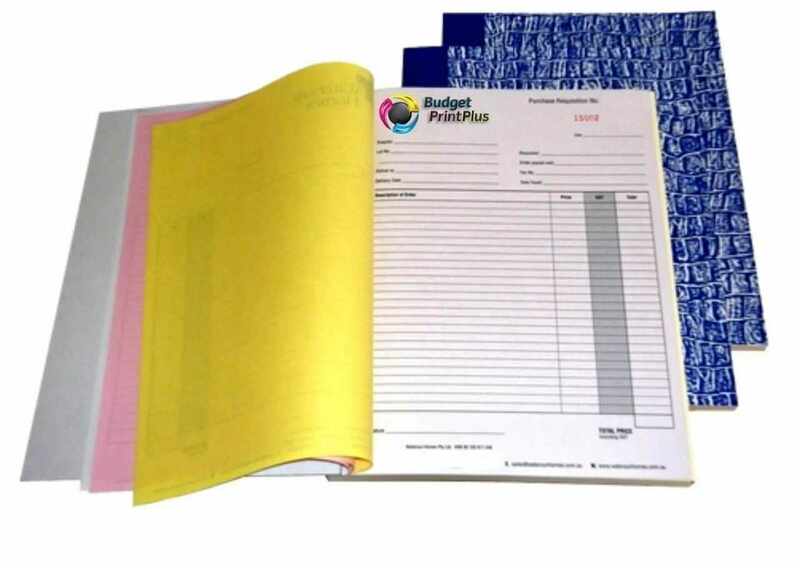 Our Invoice Book Printing Incorporates the Latest Print Technology in Our Invoice Book. Order your Invoice Book Online, A personalised Invoice Book is ideal for paperwork on the move where you need multiple copies of the same document, right there and then. A proficient approach to give various shading coded duplicates of a solitary archive that incorporates written by hand data. They are the advanced supplanting for structures with carbonless invoice books. NCR Shapes wipe out the carbon mess and are a great deal more expert contrasting option to rounding out numerous duplicates of a structure on white paper. Use them for types of assorted types, for example, request frames, pressing records, solicitations, and receipt books with a company logo. They are especially valuable where amounts, checkmarks, or marks will be added to the structure by hand. NCR Invoice Books are an efficient way to provide multiple color-coded copies of a single document that includes handwritten or typed information. They are the modern replacement for forms with carbon paper. NCR Forms eliminate the carbon mess and are a much more professional alternative to filling out multiple copies of a form on white paper. Use them for forms of all types, such as order forms, packing lists, invoices, and receipts. They are particularly useful where quantities, checkmarks, or signatures will be added to the form by hand.